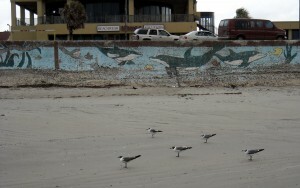 Recently it was announced that parking along the Seawall in Galveston would no longer be free. City leaders had been trying for years to turn the parking spots along the beach into revenue so the fact that they succeeded in finding a way to do that should really surprise no one. Of course whether they are providing a product that is worth paying to see is another issue entirely. Starting last month parking along the seawall in Galveston was no longer free. While it now costs more to see it, there is little evidence that the view has improved. 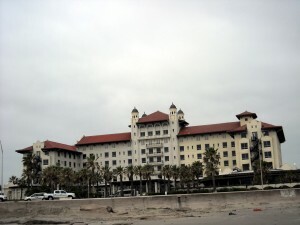 It is no secret that while I am a fan of the town of Galveston and its various historic places, my affinity for the island ends pretty much where the seawall begins. 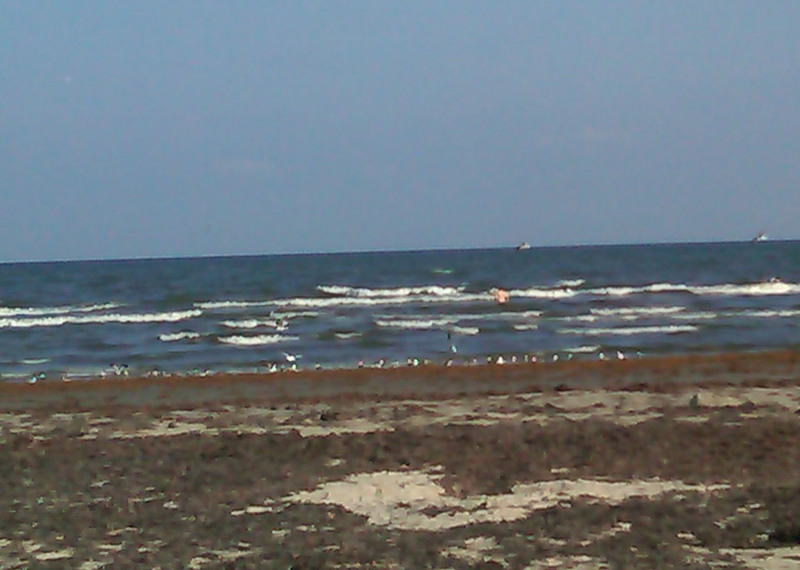 To put it bluntly Galveston has an ugly beach that one could not pay me to swim in. So when it was announced that visitors would now have to pay for the privilege of parking along the seaweed covered shores it made me laugh. The parking meter system that was chosen made me laugh even more since it seems to discriminate against people who do not have cell phones. That’s right boys and girls one now needs a cell phone or another means of wireless access to the web to pay for a parking spot on the seawall since the meters do not accept cash or credit cards. I know that it is assumed in this day and age that everyone has at least one cell phone. So, I am sure that making owning a phone the only way to pay to park seemed like a good idea. Unfortunately the new meters leave out the part of the population that does not carry a cell phone with them. So how is that keeping the beach open to all? So setting aside the whole Texas Open Beaches law which states access to the beaches should be free to all and there are several other areas where the new meters seemed destined to meet legal challenges. In fact, several lawsuits challenging the new meters have already been filed so it will be interesting to see whether the meters stay or go. Now, I have nothing against paying to park when I go to downtown Houston to watch an Astros game since those meters are the good old fashioned type that take cash and even a credit card. 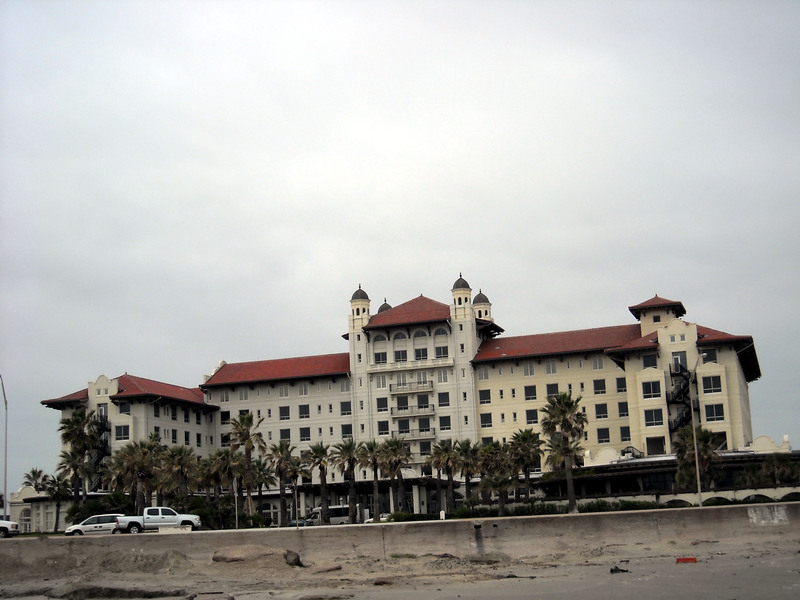 Since being built over 100 years ago there have been many changes outside the Hotel Galvez. The latest change is the addition of parking meters which ironically do not accept change. And while I own a cell phone if I had to stand on the street and make a telephone call to park I would find that a huge inconvenience and it would probably make me go downtown less often. And I certainly am not against the idea of paying for certain premium parking when one goes to a beach. When I go to Pensacola I usually pay to go to the beaches inside the boundaries of Fort Pickens National Park. 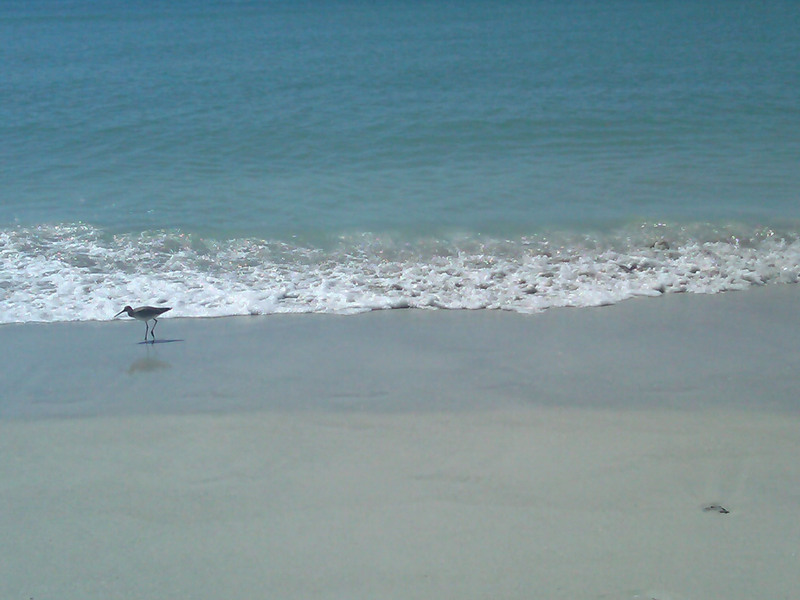 For about $10 I get unlimited access to the beaches for about a week. But that is a National Park where admission prices go towards keeping everything nice and clean so I gladly pay. But, aside from the boundaries of the National Park all of the other beaches near Pensacola are free to park at. The same is true for most every other beach I have ever been to. And the beaches that do have parking meters are the coin or credit card type which means that anyone with some change in their pocket can enjoy the beach. Galveston definitely has a seaweed problem. While it was once free to see this view, with the installation of parking meters this view will now cost you. But assuming that the new meters along the Seawall are somehow deemed constitutional and are allowed to stay I certainly hope that the revenue is used to improve the actual beach experience there and not just charging people to pay for the same thing that was free for hundreds of years. Of course while adding parking meters is certainly a negative change to Galveston in terms of being tourist friendly there was some other news that made me think that perhaps they are finally understanding the need to present more of a nice beach for those visiting tourists and their monies. This glimmer of hope came in the form of an announcement that at long last the tons of seaweed that wash up onto the shore would finally be collected and not allowed to just sit on the shore and rot. 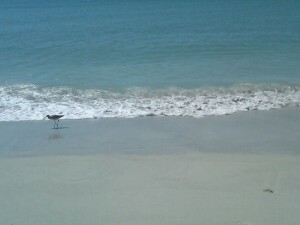 It seems a no brainer to have a beach rake that combs the sand each morning and removes any debris that washed ashore. I have never understood why Galveston did not have such a system in place. 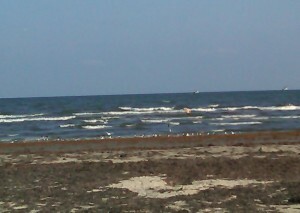 Of course one can always travel a few hours east of Galveston to see seaweed free beaches. But now it seems the seaweed will be harvested and used to restore the dunes which is certainly a better use for it than shoreline sand blanket. So I guess one has to take the bad news of paying to park with the glimmer of hope that the seaweed will be removed from the shore. Personally as someone who does not really go to the seawall that often I will not be affected by the pay to park plan. I will still go for the Mardi Gras parades each year but as far as spending a day in the sand and the surf, that is what the beaches of Florida are for. Now if you’ll excuse me, all of this talk about seaweed on Galveston has me in the mood for some spinach.